Posted by Derek Hughes on 22nd March 2019. 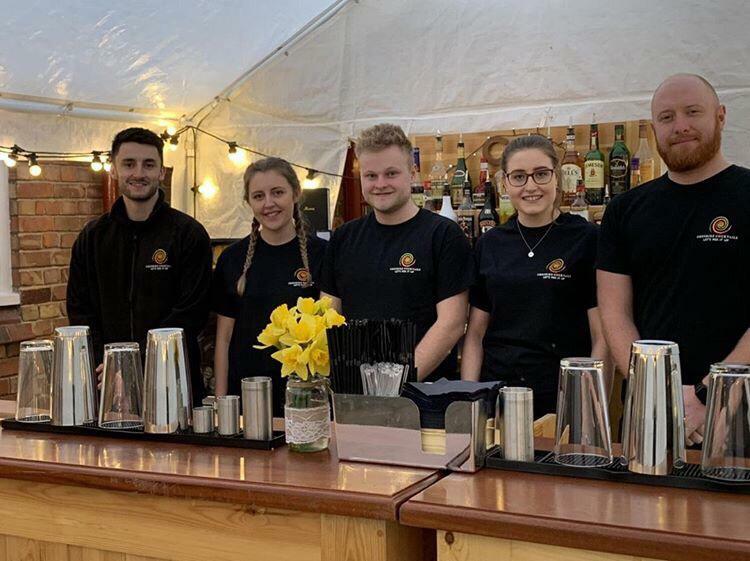 On the first weekend of March we were involved with the setting up of our mobile cocktail bar providing a service for our friends, but we were also lucky to be guests too at Charlie and Steve’s wedding, which was amazing! What a wonderful day it was. 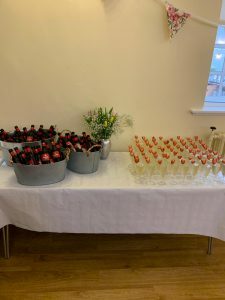 It started with are really intimate wedding in the stunning Ceremony room, with large amazing windows, in the upstairs room of the Town Hall in Chester. Charlie looked stunning in her wedding dress and Steve scrubbed up well too! The wedding had readings read by close friends/family, but was also funny too, with some of the short speeches! Some spoken by “Essex”. His real name being Steve, when I asked him later. We left the Town Hall, after first having some group photographs of everyone, down the beautiful stone staircase with the photographer. Then we were off to the Bear and Billet pub for a drink or two, before embarking on the boat, moored up at the Groves, to take us to the village of Eccleston. The boat trip was really ‘chilled out’ and after a short time, we are arrived at our destination. Then across a short, (slightly muddy) path we finally arrived at Eccleston Village Hall. 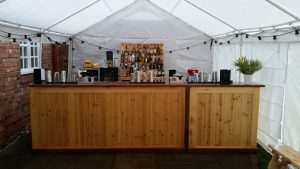 In the marquee, we had set the cocktail bar up beforehand, to make it look really good. So all the guests could enjoy the vast choice of drinks, cocktails etc and be entertained watching Pete making “Gas bomb” shooters. I must say we have an amazing, dedicated team around us who did a fantastic job on the night! A good day/night was had by all. Finally, we would like to congratulate Charlie and Steve for a lovely wedding day and hope they have a fantastic married life together! Lets “Mix it Up” Derek and the Team!